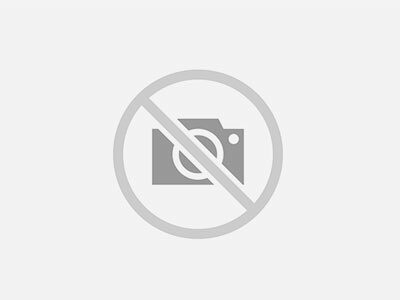 Want to get more traffic and more visitors ? You’ll need to get a better SEO ranking. Wondering how you can do that? Simple! 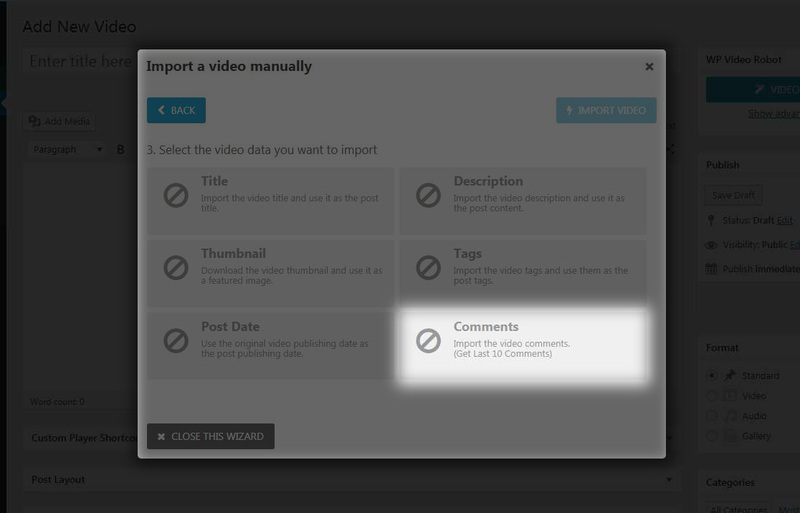 The trick is to import (partially or totally) the video comments when you import any video using WP Video Robot. 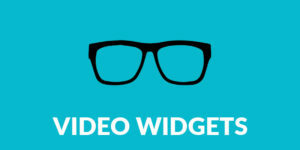 With WP Video Robot – Comments Importer, you can easily and automatically import videos comments and implement them seamlessly into your WordPress site. 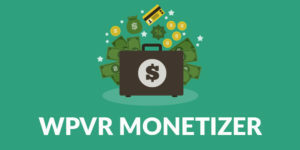 It works with YouTube, Vimeo and Dailymotion and mostly all video service supported by the plugin. 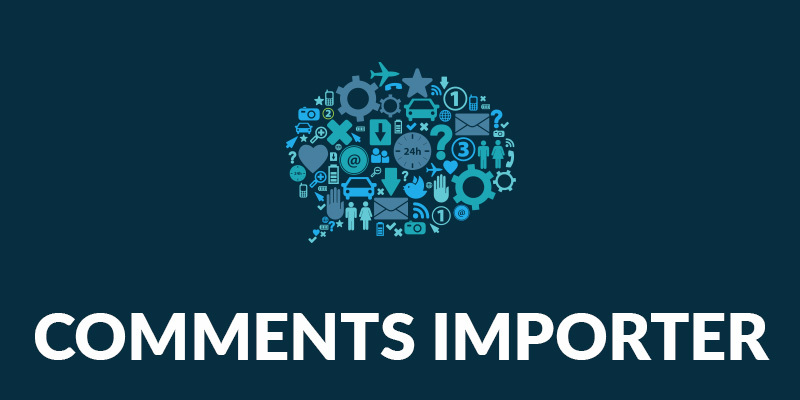 In this tutorial, we’ll see how to use WP Video Robot – Comments Importer. 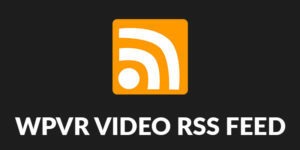 Head to WPVR Add-ons > Comments Importer and enable the add-on in order to use it. You can set here the global setting that you can use on any source, simply by choosing ‘- Default -‘. 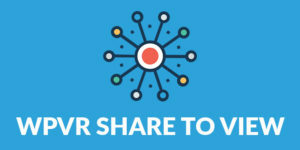 Note that the more comments you get per video, the more resources you will need on your server. We strongly recommend not to get only 50 comments per video. That’s far enough to improve your SEO rankings. This add-on is triggered on each video import process. 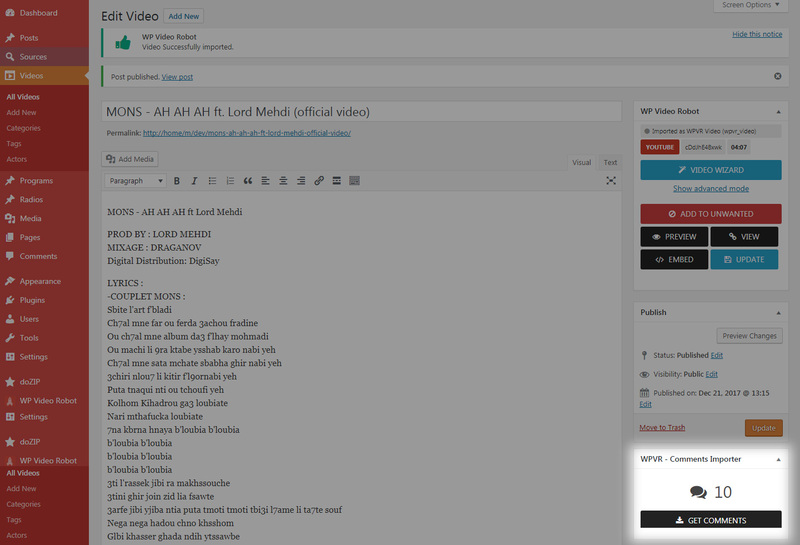 Now, if you want to import comments of some already imported videos, simply click this button. 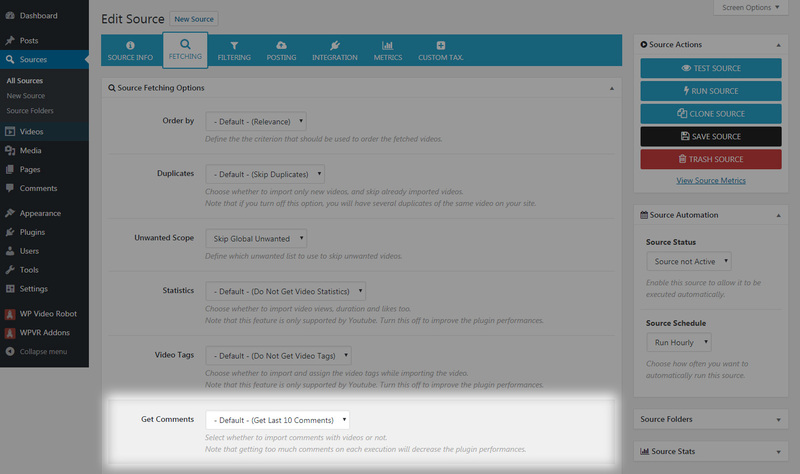 You can set Comments Importer options for each sources individually. On the source edit screen, on the ‘Source Fetching Options’ meta box, you’ll notice a new field added by the add-on : Get comments. Choose Default to use the global setting defined above. Or choose how many comments you want to get for each video fetched by this source. Once you’re done, click Update to save your source. 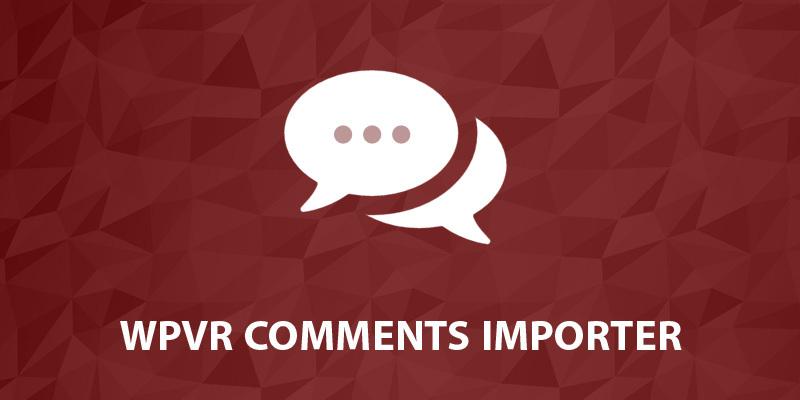 The comments will be imported and integrated to your WP site as any regular WP comment. On the single video edition screen, you can also trigger the add-on to get comments. To do that, click on the black ‘GET COMMENTS’ button on the Comments Importer meta box. On the single video adding screen, you can also select the Comments choice to get the comments with the video data during the import. That’s all! You’re ready to rock and get more and more comments.